January is now widely known as 'Veganuary' - the month that many people are now trying out the popular plant based lifestyle. Whether or not you have tried it we are betting you have heard of it! Veganism was once associated with the hippy peace-loving lifestyle but in recent years it has become much more mainstream with supermarkets even bringing out their own vegan versions of popular dairy staples such as cheese and milk. Celebrities have also hopped on the vegan bandwagon such as Jay Z, and Beyoncé - making veganism cool. Germany, the U.K. and America are all seeing an huge increase in the number of vegans, and millennials are leading the charge. It's definitely not as hard to be a vegan now due to the huge range of vegan alternatives available in most shops, cafes and restaurants with some even dedicated to selling and serving plant-based food only! The number of people asking if we have any vegan or dairy-free cakes is constantly rising. We have been working on bringing out a vegan range of our sponge cakes for a few months now and we are very very close to getting them up to our high sponge standards. 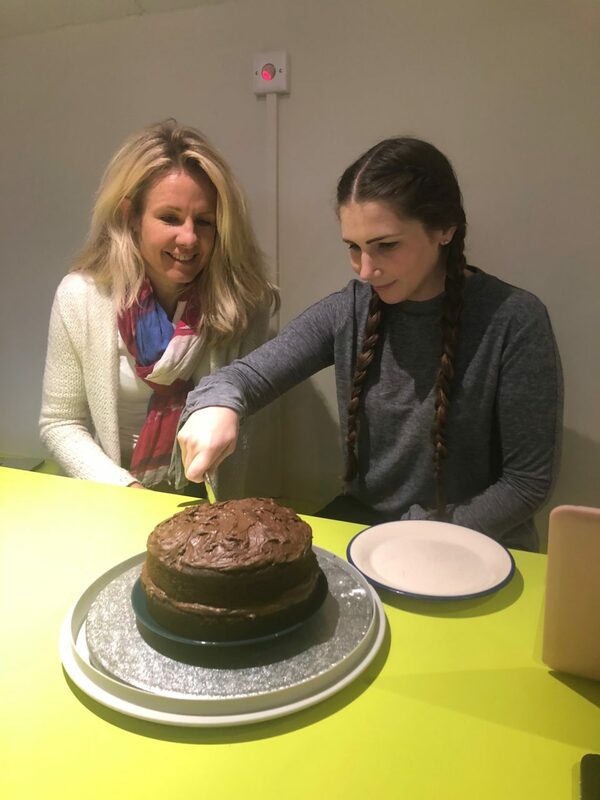 Last month we were focusing on a Chocolate Vegan Sponge cake, as you can see below we got stuck right in to it and tested many many recipes tweaking as we went along to try and get it to the standard of our other Sponges. We are also working on a vegan carrot sponge cake - which is tasting amazing! We cannot wait to launch them and get some feedback. We decided to start with a Vegan Chocolate Cake and a Vegan Carrot Cake because these are two of our most popular flavours of Sponge Cakes (which is why we have them as gluten free versions too!). 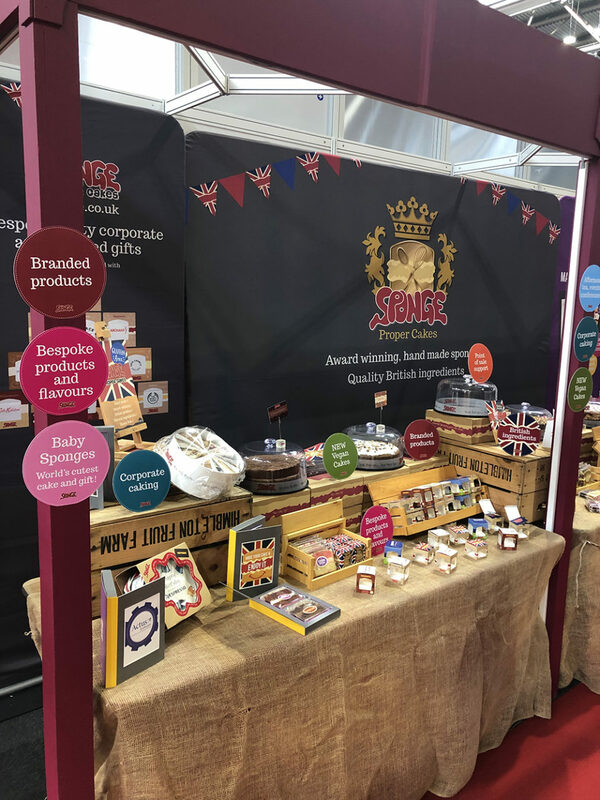 We have taken a few samples to The Food Service trade show today and tomorrow to see what our trade customers think and gather as much feedback as possible - we want to make sure they are absolutely perfect before we launch them online.